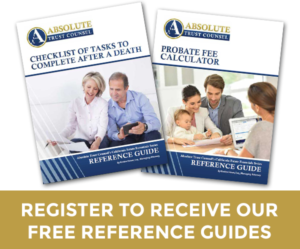 One of the things we do at Absolute Trust Counsel is assist families with a disabled senior to preserve assets and also become eligible for Medi-Cal assistance to help them pay for nursing home care. 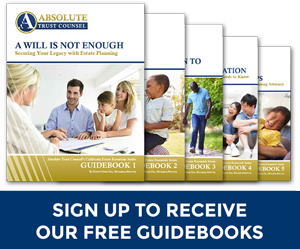 One of the tools we often use to do this type of planning is an irrevocable trust. We also sometimes have to help families who have a trust that was revocable but has now become irrevocable because someone has died. In both cases, we must often help our clients decide which assets should go into the irrevocable trust. 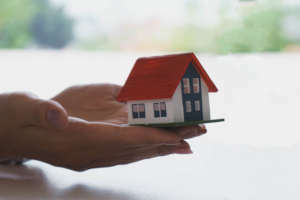 As a general rule, the disadvantages of owning your home in an irrevocable trust outweigh the potential advantages, and here’s why. The two different types of trusts, irrevocable and revocable, are treated differently under the Internal Revenue Code and other laws. With a revocable living trust, you are both the grantor and the beneficiary. For this reason, the revocable trust’s assets are treated the same as if you owned them yourself. With an irrevocable trust, the grantor and the beneficiary are not the same person. 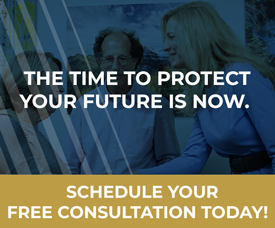 Once you transfer your assets to an irrevocable trust, they are not legally yours anymore. When we sell our personal residence, we are allowed a $250,000 exclusion from capital gains tax, which can be very important in our crazy Bay area real estate market. This same exclusion is available if we own our personal residence in a revocable trust. However, this is often not true if we own our personal residence in an irrevocable trust. In many cases the IRS does not treat the home as being owned by you when it is in an irrevocable trust. Therefore, for tax purposes it is not a personal residence for which the $250,000 exclusion is available. Taxes are not the only concern. Sometimes clients want to take out a loan using their home as collateral-a second mortgage, a home equity line of credit or even a refinancing of the existing mortgage. With the home owned by an irrevocable trust this is almost impossible. When lenders lend money they want to be sure the borrower has the ability to pay it back. When the borrower is an irrevocable trust the borrower rarely has enough income to convince a lender to lend money. The irrevocable trust does not have a job, its only income will be the interest and dividends earned on the trust assets. This same problem applies to reverse mortgages, which can be very helpful tools for seniors who want to remain living in their homes but don’t want to spend most of their Social Security check on a mortgage. Reverse mortgages require that the home will be sold and the lender paid back shortly after the borrower’s death. However, if the home is owned by an irrevocable trust, the borrower, the irrevocable trust, is not a person and thus will never die. You can see why a reverse mortgage lender will have nothing to do with irrevocable trusts. Before we allocate assets to revocable and irrevocable trusts it’s very important to consider all the potential consequences.